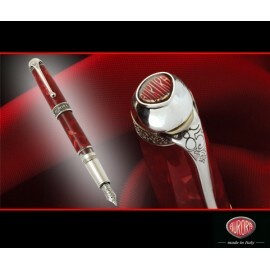 Aurora, Italy's largest pen maker, celebrates its 85th anniversary with a vividly red and silver masterpiece. The self named Aurora 85th Anniversario Limited Edition honors the company's founding in Turin, Italy in 1919. This pen is an edition The edition number is marked on the back of the cap band. 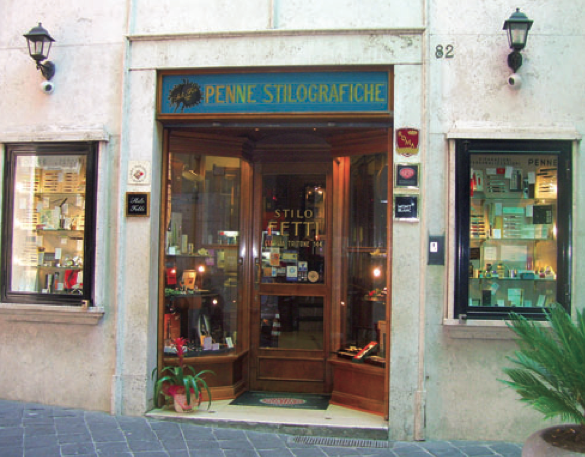 A clear ink window shows the writer when to refill. The number "85" is incised in script on the top of the clip. The celluloid shimmers as it is rotated, reflecting light at differing angles. The Aurora logo, in grey mother-of-pearl and on a red coral paste, is featured under their newly designed heart-shaped cabochon on the top of the cap. 85th ANNIVERSARY There is 1 product.